Born in Louisiana, raised in Tennessee and an Arkansas resident for more than a decade now, Garrett has spent his life chasing ducks in the southeast. A Harding University graduate with Marketing and Professional Sales degrees, Garrett has the tangible and intangible skills necessary to help his clients buy or sell pieces of paradise. 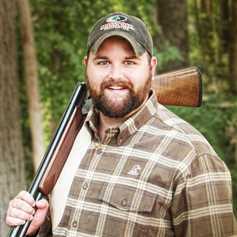 Garrett is also a certified firearms instructor for the state of Arkansas, offering conceal carry classes and well as one-on-one firearms training. He also teaches firearms classes and does marketing for The Range in Searcy, AR. But Garretts greatest passion is duck hunting. He has spent the last 5 years working with the Ducks Unlimited Hurricane Lake chapter in Searcy, Arkansas, and has dedicated himself to saving, maintaining and preserving Arkansas duck ground.